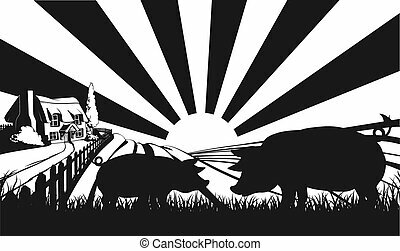 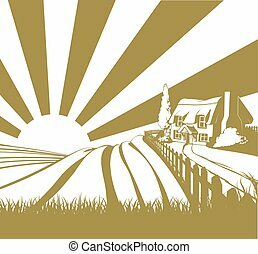 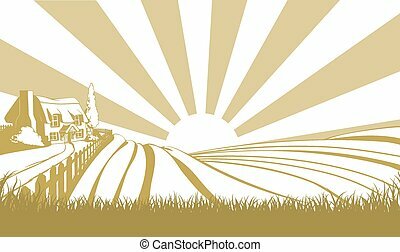 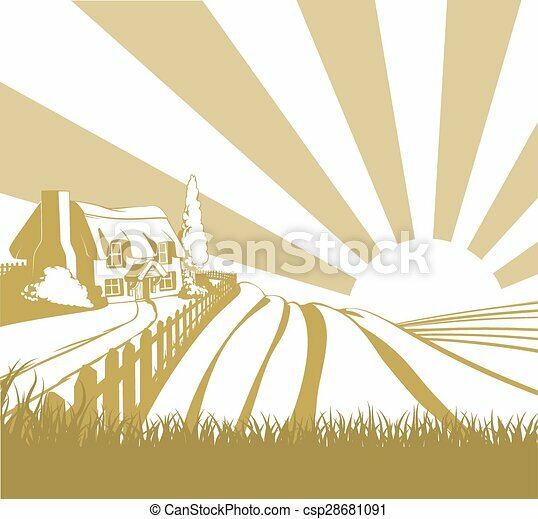 Farm field landscape concept illustration with sunrise. 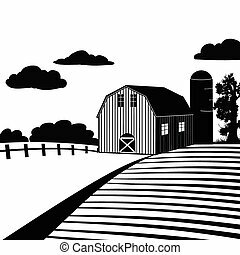 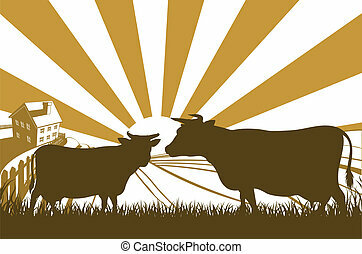 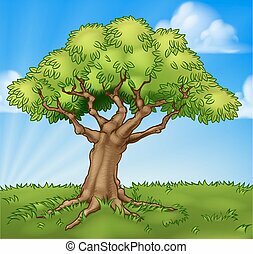 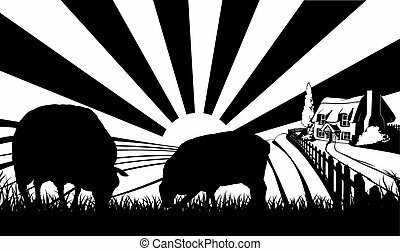 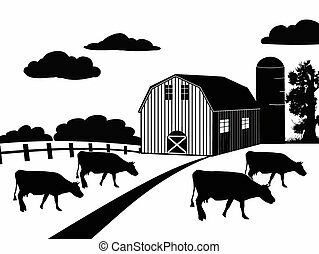 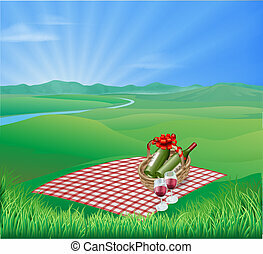 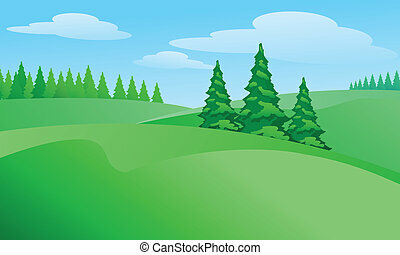 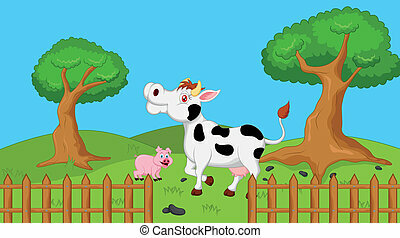 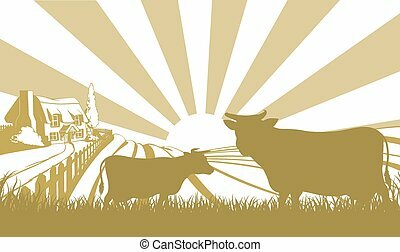 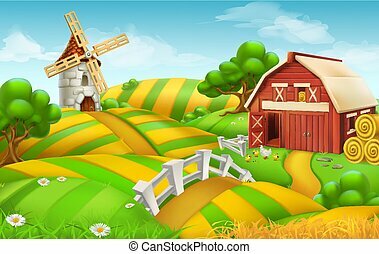 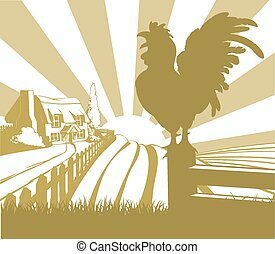 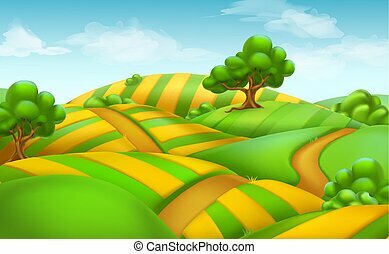 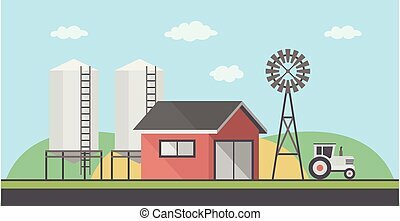 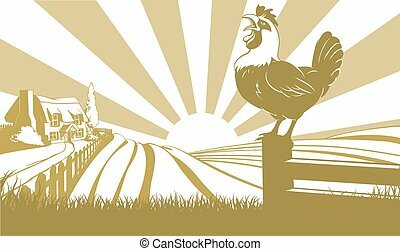 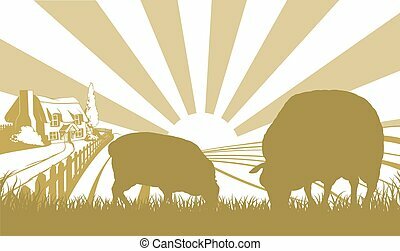 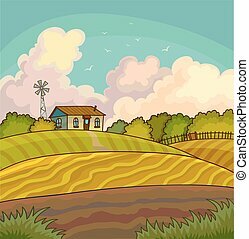 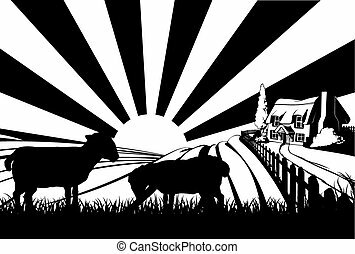 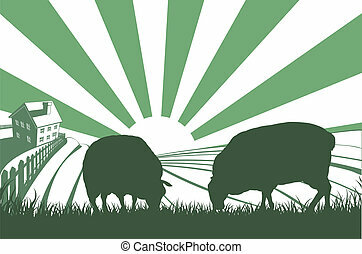 Vector illustration of rural farm landscape background. 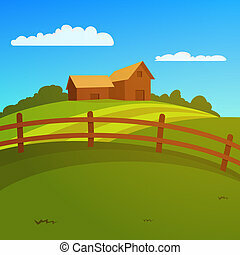 Landscape with farm and fence, vector illustration. 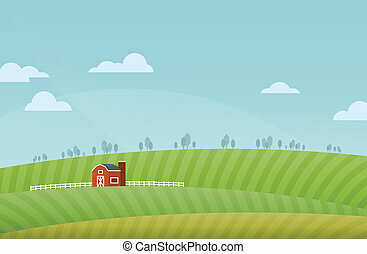 Farm rural landscape with field. 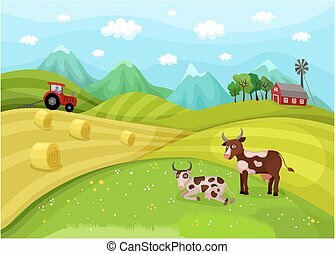 Illustration harvesting crops. 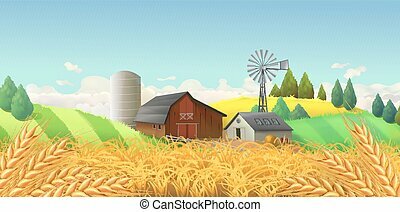 Vector background with harvest.